Leaves crunch in the crisp air. The smell of bacon and campfires mix. It’s almost time for Man Camp! Join us September 7th – 9th for our fall Man Camp. We have a variety of exciting activities planned, including zipline, dodgeball, archery, trap shooting, fishing, and so much more. Come enjoy the steak-cookout while hanging out with other men. 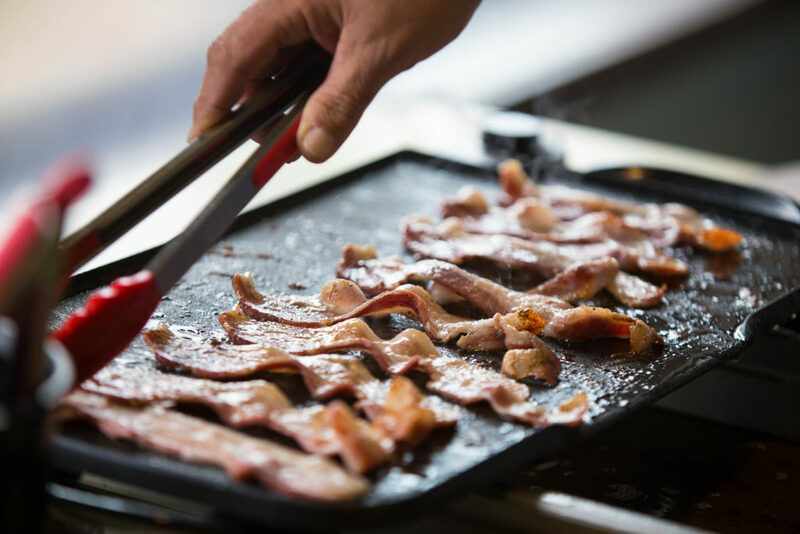 And don’t forget the bacon. Most importantly, we are looking forward to the ways God is going to work. Caleb Culver and Andrew Williams are the two speakers for the weekend who will challenge and encourage you through God’s Word. A time of praise and worship will be led by Richard Adolph. Spots are still open, so if you’re a guy 18 or older, register today! Or if you’re a dad, you can bring your son if he is 14 or older. You won’t want to miss this incredible weekend of adventure, food, biblical teaching, and being challenged in all the best ways possible. To find out more details and register, click the button below! Man Camp Work Day Projects! It’s been a couple weeks since our final Man Camp work day of this year. We are so thankful for the men who volunteered their time and energy to help make Miracle Camp an even better place. New Hiking Trails: One of the biggest projects that the men worked on was creating hiking trails on the new land that was purchased a couple years ago. 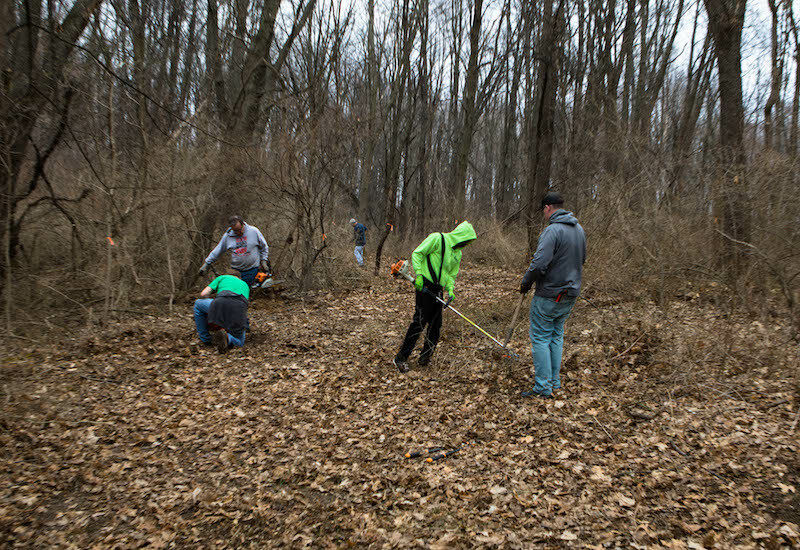 The men spent hours clearing brush, sticks, and thorns to make wide trails that our guests are now able to enjoy! Cleared Area for Paintball Course: In addition to clearing lots of trails, some of the men took on the task of clearing a large area as the new location for our paintball course. This new area will provide a larger, more enjoyable space for our paintball games. Whitewashed Walls in Game Room: Our game room now has a brighter feel! We hope this improvement will continue to support the smiles and laughter of our guests who enjoy this space. As always, we are so grateful for the help we receive from our faithful guests and supporters. Miracle Camp wouldn’t be the place it is without your generosity and contributions and we thank you for supporting us in creating a place where the gospel can be preached to more and more people every year. For more information on how you can get involved, or the projects we are working on now, click the button below! Today marks the beginning of our 2018 Man Camp Season! We are pumped for the hundreds of men to be here and enjoy a great weekend together. This weekend we will have just over 100 men attend our first Man Camp. With March Madness just starting, we are looking forward to lots of basketball, incredible food, and watching our favorite teams play. 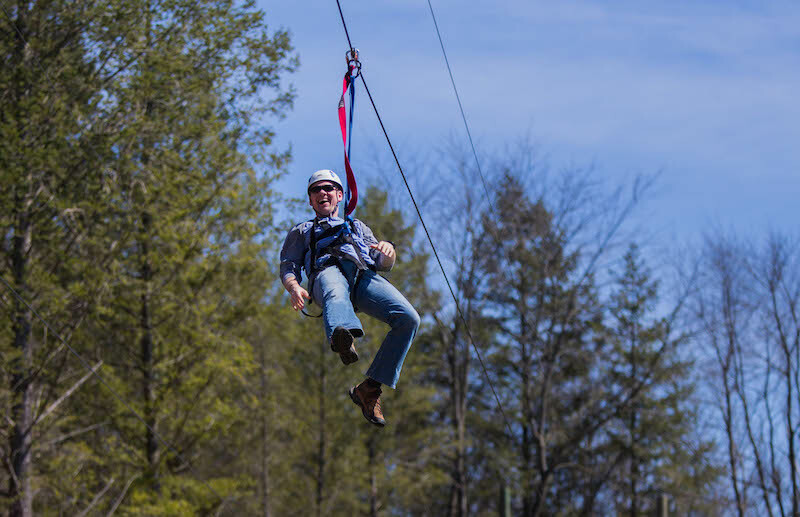 The weather this weekend is also looking great so we hope to make good use of our zipline, high ropes, trap shooting range, and our huge man grill. The thing we are looking forward to the most, though, is hearing the Good News of Jesus preached. We would love to have you join us in prayer for this weekend and that God will work in the hearts of these men. Check Out the Topics for this Year’s Man Camps!! Dan will be focusing on raising the bar on our faith, expectations, and outcome in life. He will be asking the question, “We are living, but have we found life?” In Dan’s first talk, on Friday night, the topic will be “What Matters Most?”. He will be diving into Luke 6 to look at three key questions to help us discover God’s plan. Saturday morning’s topic, “Who Am I?”, will look at our identity and what God has for us through passages in Ephesians. The third message, titled “Fear to Focus”, will come from John 5 and will challenge us to shift our focus and think about how fear keeps us from embracing the life God has for us. Our final session, on Sunday morning, will be centered around Colossians 3 and 4 to look at legacy and the need for community. Rich Ratts will be focusing on the theme of Acting Like Men. The sessions for this weekend will be centered around a couple key verses: 1 Corinthians 16:13 (“Be watchful, stand firm in the faith, act like men, be strong.”), Nehemiah 4:14 (“After I looked things over, I stood up and said to the nobles, the officials and the rest of the people, ‘Don’t be afraid of them. Remember the Lord, who is great and awesome, and fight for your brothers, your sons and your daughters, your wives and your homes.’”), and Luke 2:52 (“And Jesus grew in wisdom and stature, and in favor with God and men”). Each message will encourage guys to “act like men” according to the four domains mentioned in the life and growth of Jesus as recorded in the passage from Luke. Session one will focus on growing in wisdom (intellect), session two on growing in stature (physicality), session three on growing in favor with God (spirituality), and the final session on growing in favor with men (relationally). For our third Man Camp, Tom Harmon is back as our speaker! The chapel sessions will be centered around the book of Daniel. In the first session, Tom will talk about “Daniel’s Moment in Time” by looking at the first couple verses of the first chapter. Saturday morning will focus on “The Making of a Man” through Daniel 1:3-9. That evening, we will dive into Daniel 2:44-45 to take a closer look at Daniel’s message. In our final session, Tom’s topic will be “The Making of a Prophet” based out of Daniel 6. Nate’s main theme for this weekend is Man Prayers: Exploring simple, gospel-centered prayers that invite Christ to form and shape His life in our everyday lives. Nate will kick off the weekend in Luke 1:26-38 by looking at what God desires to do IN & THROUGH us. The next morning’s session will look at 1 Kings 3:1-15. In this message, Nate will talk about our desperate need for the wisdom of Christ to rule in our hearts. On Saturday night, Nate will look at Mark 9:14-29 and about how we are all equal in our need for Christ’s grace to daily overcome our unbelief. The last session will be based on the passage from 2 Kings 6:8-23, centered on praying that the Lord will open our eyes that we may see. If you would like more information on what goes on at Man Camp, more about the speakers, or have any questions, visit our website at www.miraclecamp.com/mancamp! Man Camp is Almost Here! 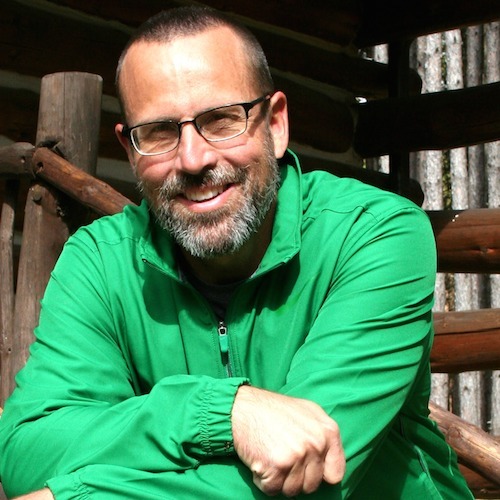 Dan Busse: I have been in ministry since 1996, a grad of Dallas Seminary, and am now currently getting another masters degree from Liberty Seminary in missional involvement and evangelism. More importantly I am married to an amazing woman and dad of 4 incredible kids.I do not claim to have all the answers, but I do want to see the church be all it can be. Jesus gave His life for the church, we are to show Him off. Frankly, in America, the church as we see it has failed. Not because of Jesus but because of us. So as leaders we have a choice. Do we lead by listening to Jesus and being courageous enough to take the shots, or do we simply do what others want and continue the downward trend? Rich Ratts: Rich Ratts is passionate about helping people to connect with God and then connect their faith in Him to their everyday life. Rich believes that we have been called to make a life, not just make a living! He has spent the past 31 years serving as a Lead Pastor, Associate Pastor, Student Pastor, Worship Leader, and as a Church Planter & Church Planting Missionary. Rich has worked with ministries in Florida, Illinois, Michigan, and Montana. 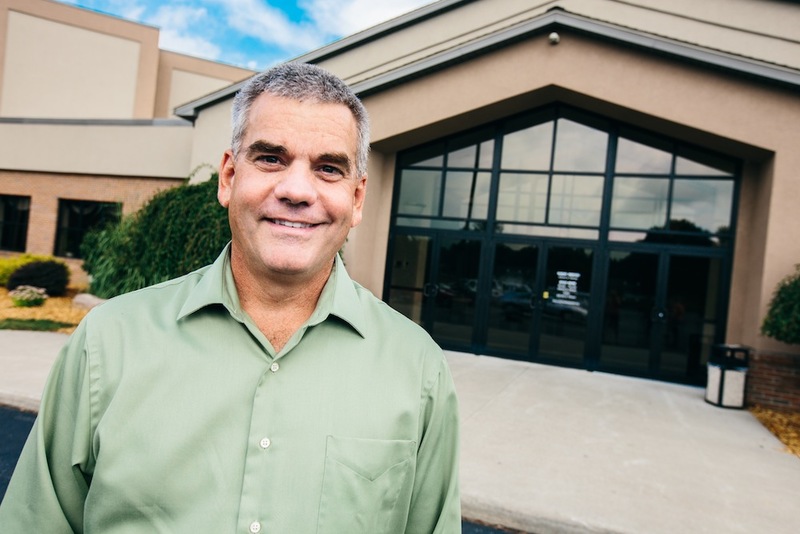 Currently Rich serves as Lead Pastor of Crossroads Church in Monticello, Illinois. Born in Decatur, IL, Rich grew up in Vandalia, IL. He has been married to Nancy for 31 years. They have five children: Nate, Josh, Josiah, Mercy, & Caleb. Tom Harmon: My name is Tom Harmon, my loving wife Joyce and I have been married for forty-five years. We have four children, and they are all are married. All our children love the Lord and we thank God for His gracious hand upon us. I grew up in a Christian home and trusted Christ at an early age. I regret to say that most of the early years of my journey I did not walk in the ways of the Lord. In High School I enjoyed football, basketball and track. Upon graduation from High School I attended Northern Michigan University on a four year full ride athletic scholarship. I played four years of college football, and graduated with a bachelor of science degree. In 1973 I graduated from the Michigan State Police Academy and was a trooper for eleven years. In 1984 I sensed God’s call on my life to preach and resigned from the department. I pastored a small church north of Lansing for four years and have been a full time itinerant preacher speaking in churches, camps, and Bible conferences for the past twenty-five years. My life’s verse is Philippians 3:10. Nate Hamblin: Nate serves as the co-pastor of Neighborhood Church, a two-year old church plant in Adrian, Michigan. Prior to moving to Adrian, he served in a variety of pastoral roles at Crossroads Evangelical Church in Wauseon Ohio for 11 years. He’s passionate about coaching people in the everyday truths of life in Christ. Personally, Nate considers himself a proud member of the “I married way above myself” club. He and Amanda have been married 15 years and have two young sons—Eli & Oliver. He enjoys the simple adventures of life—family time, food, yard work, laughter and watching college football (Go Blue!). If you would like more information on Man Camp, including pricing, dates, the work day, or what to bring, or to register, head to our website at www.miraclecamp.com/mancamp! Our First Fall Man Camp is Almost Here! Our first Fall Man Camp is just a couple weeks out now! 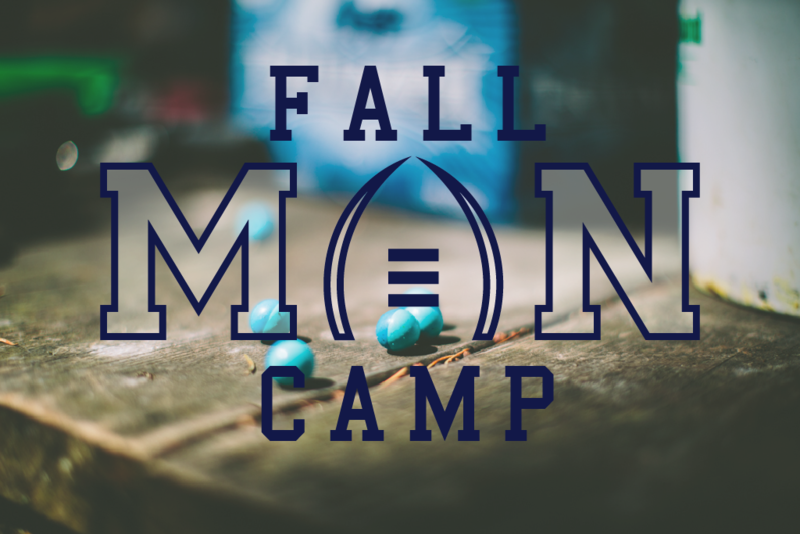 We are so excited to be adding Man Camp to the fall schedule. 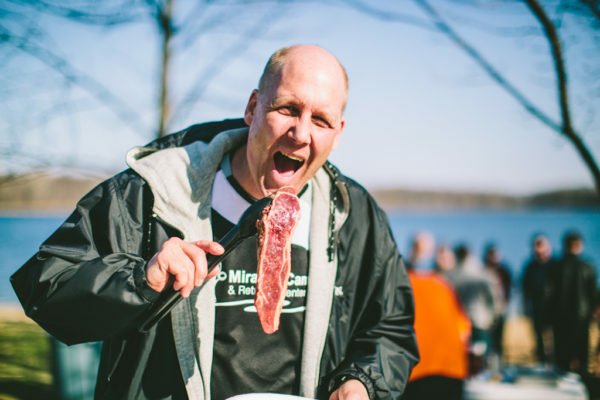 This Man Camp will include all of the usual favorites, the bacon room (always stocked with bacon you can make whenever you want), man lounges, and grill your own steak night! We also are stoked to be right in the middle of the college football season and will be streaming the best games all weekend. The speaker for this fall will be Brian Clay. 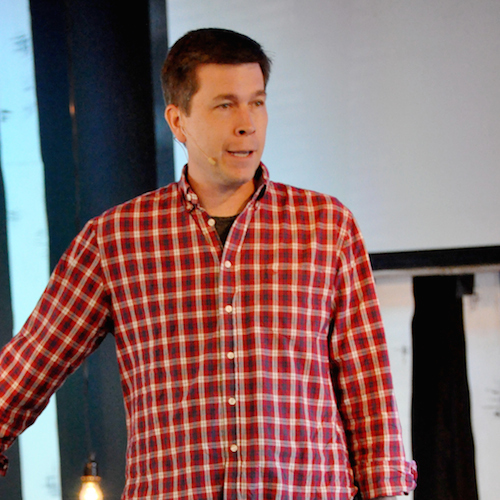 Brian Clay has been the speaker at previous Man Camps and we are pumped to have him back. We also will be having a work day the Friday before Man Camp begins where men can come early and volunteer and help out around camp. Stay tuned for what the project will be this fall. The Fall Man Camp will be November 3-5. If you would like more information on the activities, prices, or any other information about Man Camp, head to www.miraclecamp.com/mancamp! To register for one of this years Man Camps, or to learn more, visit www.miraclecamp.com/mancamp! Man Camp is almost here! Check out the speakers for this year! Selecting our speakers for our chapel sessions is one of the most important tasks in preparing for our retreats. Everyone has different backgrounds on what they are used to and what they are looking for when it comes to messages, so we seek to find speakers who can most effectively communicate messages based in Scripture in a way that many people find applicable. 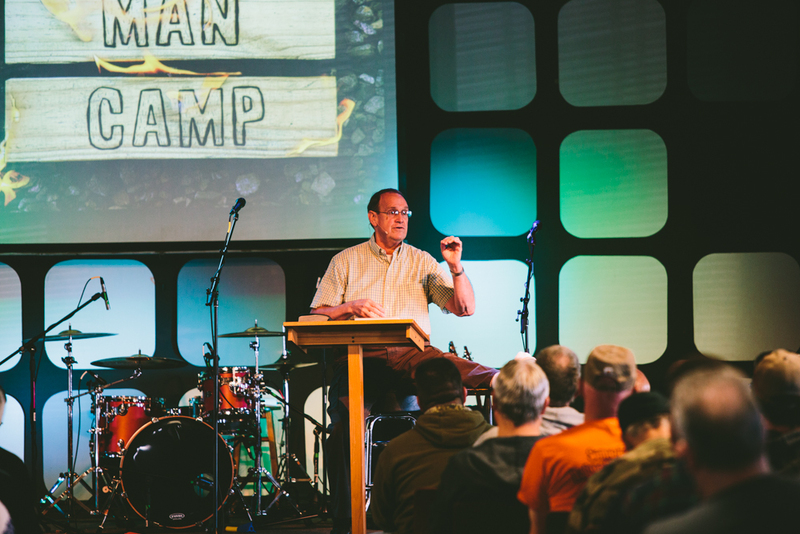 Our hope is that our speakers for our Man Camp weekends will be able to relate to men in all stages of life and be able to teach the fundamental message of the Gospel in a clear way to those who are not following Christ, while also challenging those who are more mature in their faith. Here are a few details about our speakers for our four weekends of Man Camp coming up in the spring. Brian Clay is from Fort Wayne, IN and will be returning for his second consecutive year as a Man Camp speaker. He is a financial advisor who works for Edward Jones and he also has pulpit experience at Brookside Church, which he attends with his wife and three children. 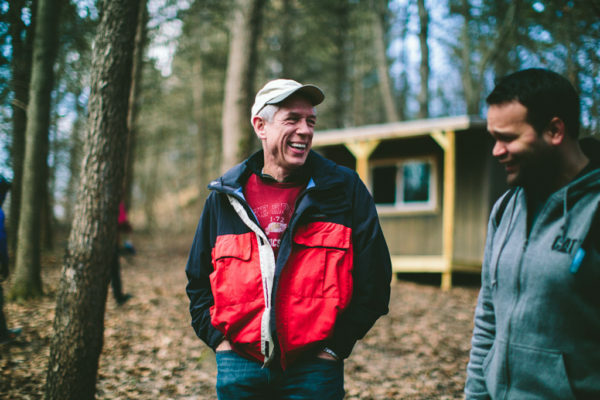 Brian was well received by our Man Camp attendees last year as he combined his witty humor, with refreshing messages focusing on the idea of sharing your story. He encouraged many men to be open with one another and simply share the story of their lives with other men. Brian is a fun-loving guy who is easy to talk to when he is off stage and easy to listen to when he is on stage. Kevin is going to be joining us as a speaker this year for the first time. Kevin is from a small town in Michigan called Barryton which has a population of 359. 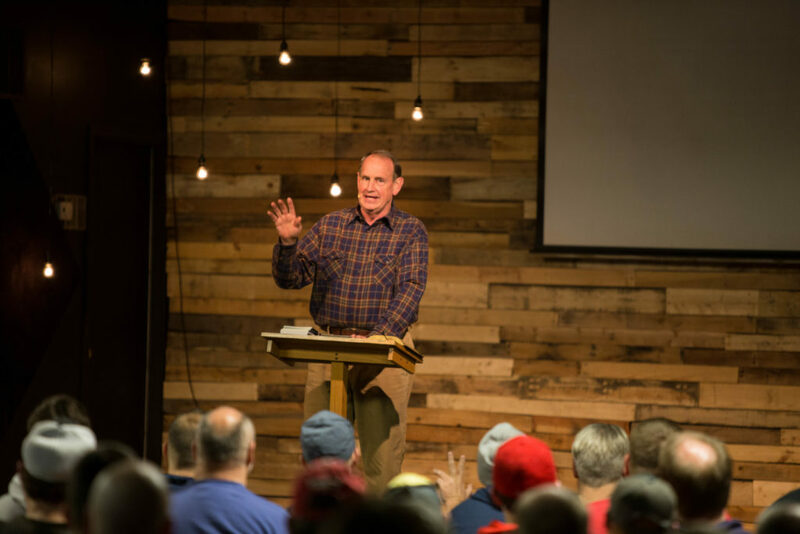 Kevin has a lot of ministry experience as he has previously planted three different churches, worked for Zondervan publishing company, and now currently speaks at many churches, camps, and conferences, specifically focusing on speaking at men’s events. Kevin is a very adventurous man and has many stories to tell, including experiences from completing the Spartan Race Trifecta and handbuilding his own family’s log home. We are excited for the opportunity to partner with Kevin this spring and have him bring the Word of God to the men who attend this retreat. For more info on Kevin, you can visit his website at www.kevingreenwired.com. Tom Harmon has been a long time staple as a speaker at our Man Camps. Tom is a proud father of four and grandfather of 22. Yes, you read that right, 22! Between all of his experiences with his family, his years playing college football, and his 11 years of being a Michigan state trooper, his stories are sure to bring plenty of laughter. Tom is a great man of the Lord and has been doing ministry since 1984 when he stepped down from the police department and pursued God’s calling on his life to go into full time ministry. He pastored a church in Michigan for several years and has been doing itinerant preaching in churches, camps, and conferences for the past 25 years. 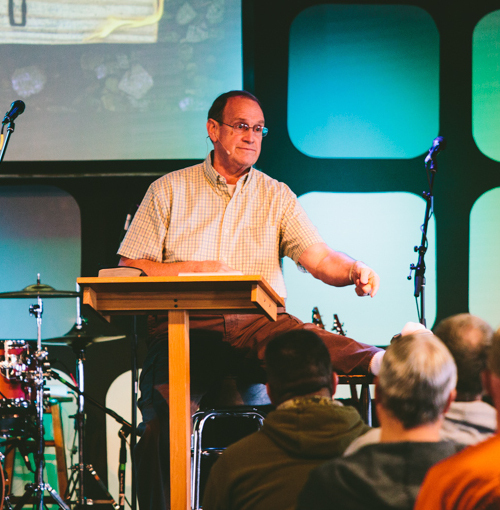 Tom brings an overwhelming amount of wisdom and experience to our Man Camp weekends as his ability to quote Scripture from visual memory is part of his unique teaching style that is sure to engage, teach, and challenge the men who attend. For more information on Tom, you can visit his website at www.tdharmon.com. If you would like more information about our Man Camps, feel free to check out our Man Camp webpage at www.miraclecamp.com/mancamp. It’s not too late to register! If you or someone you know is interested in attending a weekend of our spring men’s retreats, you can register by clicking here or going to our website! Today’s Keeping Faith rewind is the story of Matt Boyers, senior pastor of Crossroads Evangelical Church in Wauseon, Ohio. 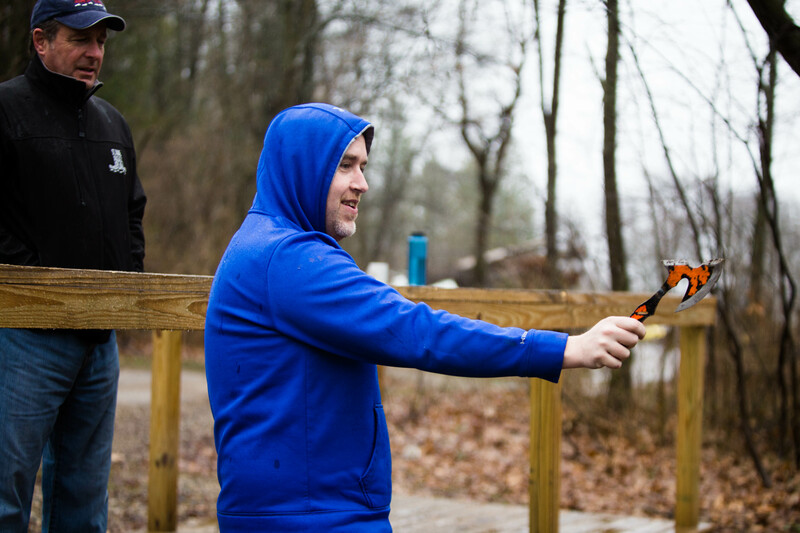 Matt has been coming to Miracle Camp and Retreat Center with groups for years, and he and his wife along with a team of other couples lead our annual Michigan Marriage Retreat. Matt has watched many people’s lives change at Miracle Camp and then has walked through the process of discipleship with those people. For us, this is the example of the perfect partnership. We believe that Miracle Camp is best when done in partnerships with local church, like this one. Enjoy the story, and think about how your church could partner with Miracle Camp today!